I’ve been writing about WordPress for artists for nearly five years. When I started, WordPress was not a great choice for ecommerce sites. When I started writing about WordPress, there were two things that hadn’t really happened yet in the online art community. In interim, things have changed quite a bit. Artists are finding that more and more often they can sell art directly to collectors themselves, bypassing the need for gallery owners, or creating a source of income that keeps them afloat while they seek out art licensing or gallery deals. The WordPress community has really stepped up its game in creating plugins, extensions and themes for you to show off your art in powerful, effective ways. Today, I want to give you an overview of what’s possible with WordPress ecommerce, and how to get started on your own ecommerce site. If you don’t know how to set up payment options, you may want to read our post Breaking Down the Easiest Ways to Start Accepting Payment On Your Own Website. Woocommerce is a WordPress plugin created by Woothemes. It acts as your shopping cart. The basic Woocommerce plugin is free, and has everything built into it to connect with your Paypal account if you want the simplest way to accept payments. In addition to basic shopping cart functionality, Woocommerce has a whole array of extensions that will do things like automatically calculate shipping (for a variety of shipping companies), mailing list integration, and enhance product reviews and marketing elements. Some of the extensions are a little pricey, so I recommend getting started with basic Woocommerce until you know what you’re doing. Obviously there are a number of ecommerce plugins for WordPress. I’m a fan of Woocommerce because of its long history, thousands of happy users, and large community of support. The video below under the Canvas theme has a tutorial that includes the basics of getting set up on Woocommerce. Of course, in order to get started with Woocommerce, it’s best to pick a theme that is built for ecommerce. There are a few important elements that any good WordPress ecommerce theme should have. The reason I generally don’t go with free themes is for these reasons. 1. Solid code and compatibility with WordPress core features. Your theme should be built by a professional developer with a deep understanding of WordPress. Something that a lot of people miss when they’re picking a WordPress theme is whether or not said developer works outside of the WordPress core functionality. WordPress is a collaborative group project, with thousands of developers around the world contributing to its functionality. The developer community as a whole steers the direction that WordPress goes. Some developers, especially some very competent ones, go rogue and build features into their themes that might be really neat, but over time cause problems as WordPress updates and goes in different directions. If you get caught in this trap, you will end up having compatibility issues with other plugins, and security issues which will make your theme vulnerable to hackers. The easiest way for a layperson to determine if a theme is solidly built around core functionality is to look at some reviews and see how popular the theme provider might be. WPMU has reviews of a bunch of different theme providers. 2. Simple, elegant design you can control, with a focus on your art. Obviously you want your art to be the primary focus of your website. Too many other design elements distract from your art. Every piece of color and shape should reflect you and your art. Images should be large to show off details and color. Another bonus of paid themes is that they usually put design elements at your control. Dropdown menus and color pickers for colors and size of elements, as well as font pickers. We have some recommendations of good themes below. 3. Good support. This is absolutely crucial as you build your site, and as new versions of your theme are released. Things go wrong, and you need someone there to help you out! If you’re not web savvy, or you’re not hiring a web developer to build a site for you, you’ll need a team there to help you. This is usually where price starts to matter. The themes you pay for generally have better support, and the more you pay, the better the support (usually). All of these themes are themes that I have either worked with myself, or are made by theme companies that I have worked with directly. This is a very strong new entry into the WordPress themes field. It incorporates ecommerce with some powerful customization options. I highly recommend it, and you can read my full review here. Elegant Themes is a great company for value-focused artists. Their themes are inexpensive, easy to use, and have a useful visual editor that allows you to change colors, textures, and fonts while looking at the front page of the site. While I haven’t used this theme directly, I have worked with Elegant Themes on a number of other occasions. 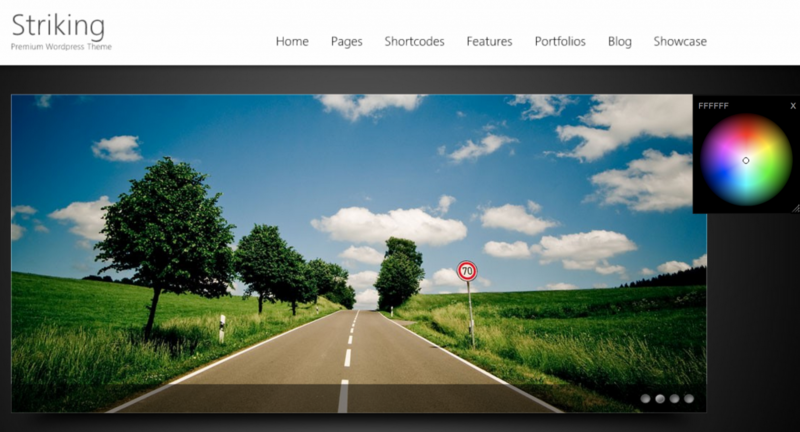 In addition to building Woocommerce, Woothemes builds a number of paid and free themes. Canvas is their flagship theme and works well for artists. It has clean lines and a white background which works well to allow you to show off your art. You can see a couple of artist sites built with Canvas here and here. I’m especially a fan of Canvas for the fact that it puts all of the basic design elements at your fingertips without having to know code. There are visual editors and color pickers for all of the background areas, navigation, and pages. You can pick the fonts you want from a large variety, and you can also easily upload custom headers and site backgrounds. This theme was also included in the original WordPress Themes for artists blog post. Kaptinlin has made some major upgrades to the theme, including adding compatibility with Woocommerce. They have solid support (forum based only), and they have a planned path forward for new features. 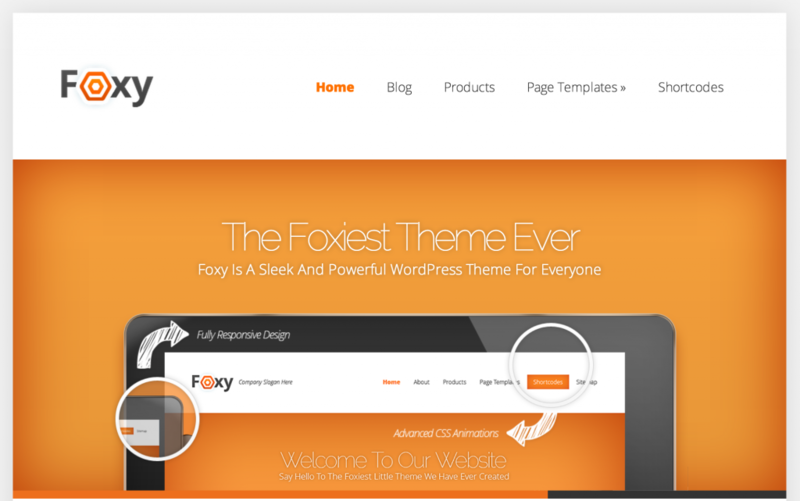 This theme also allows very granular control of colors and fonts. I’m in the middle of redesigning TheAbundantArtist.com right now and I’ve chosen to go with StudioPress’ Epik Theme, mostly because their parent company, Copyblogger Media, also runs my hosting services, and they have one of the best blogs on the web. Studiopress themes operate in a slightly more advanced manner than the above mentioned themes. They have a central framework called Genesis, and they you add in child themes. It’s not for the faint of heart, but if you feel comfortable with some moderate html and hosting work, Studiopress offers some fantastic options – and they really care about modern website issues like load time and mobile responsiveness. If you’re going to use Studiopress themes for ecommerce, you’ll likely need the Genesis Connector plugin. Do you have a favorite artist ecommerce website? Share it in the comments! Thanks for sharing the tips and themes. I switched from Shopify to WooCommerce this year because I wanted the flexibility of WordPress. I also built a WordPress / WooCommerce site for my girlfriends glass. For my site I completely developed the theme myself. I don’t recommend doing this. WooCommerce can be a nightmare to customize if you aren’t a developer. Stick with a solid free or premium theme and you’ll be happy. Regarding support. If you run into issues that require support from WooThemes, the developer of WooCommerce you will be disappointed. It often takes them days to reply. It’s not uncommon to see forum posts stating WooThemes hasn’t replied to a ticket that is weeks old. The short of it is if you are running a serious Ecommerce business and something happens during a critical sale time you’re screwed. Also, not to long ago WooThemes completely changed their terms of service and pricing that existing customers agreed to. Their founder and staff showed arrogance and ignorance justifying breaking their agreements. Be careful trusting Woothemes. With those changes themes from Woo and WooCommerce extensions (additional functionality) are now subscription based. You pay to use them, get support and updates for a limited time. Usually a year. Then you must renew. If you’re running several extensions this can get pricy every year. Extensions can cost up to $100. Most are $30+. So think about your annual cost for themes, extensions and hosting when considering using WooCommerce for your online art shop. It may come out to what running a Shopify site would be. With Shopify the support is excellent and they handle the hosting and core updates. It’s much easier for those that don’t want to deal with installations and configurations. Just my experience doing all this for several years. Good points Matt. Artists should definitely consider the annual costs of doing business when they are building their sites. Shopify (along with BigCommerce, BigCartel, and other services) is a great option, but there are some risks there as well. Shopify is a hosted platform, which means it’s not under control of the business using it. If Shopify decides to change a feature, remove a feature, or go out of business, you have no recourse at all. I talk about this in and . I don’t see maliciousness on the part of Woothemes changing their annual support terms. I see them trying to create a business model that works. I have a friend that works on their support staff, and they were being completely overwhelmed with support requests from people that were never going to pay them again. Again, it’s all about what you want your experience to be. TAA is focused on teaching artists to operate independently and not rely long-term on third parties (like galleries or hosted services). There are multiple ways to do it – to each their own! I completely understand why they changed their model. I disagreed with the shady way in which they did it. Essentially breaking existing agreements and stating that their fine print in the terms of service allowed them to break their agreements at any time. The caught so much flak for it that they had to revise their approach once again. Regarding not relying on hosted services like Shopify. By using WooCommerce you are relying on a third party so I see no difference. Either way. It takes a lot to develop Ecommerce software and companies like WooThemes and Shopify offer excellent platforms for artists to sell their work. Opportunities that we never had previously. So we have the tools now we just need to do the work and your blog is all about that. I’m looking forward to digging into more of you posts this weekend. Woo definitely could have done it in a classier way. They have egg on their face, for sure. While Woo and Shopify are both third-party services, the difference is that with Woo, you can pay for it once and it continues working. If you stop paying for Shopify, you’re done. You can customize and alter WordPress and its plugins to your heart’s content. Shopify puts limits on the customization possible. That’s the difference. I am looking at the “Shop” Theme created by Organic Themes. It’s uses Woo Commerce and that makes me so happy, especially now that I know you recommend it! I’m totally terrified to begin creating this new website, mostly because my current site is hacked together with a mixture of Zenfolio, WordPress.com, and NameCheap is hosting my domain name. I’m really worried that my site will go offline during the process or that things will get screwed up somehow. That’s what I get for doing it all myself I guess… but I’m determined to get it right this time! Are you building your site on the new theme on the side while this theme is still running? and if so, how do you make the transfer over to your new theme seamless? I’m about to start watching all of your videos on ArtEmpowers.Me but if you have anything here I should be reading let me know. This post was very helpful! Thanks! Hey Rebekah – I build my sites as a subdomain of the main site. Like YourDomain.com/redesign. When I’m done, I used the Backup Buddy plugin to transfer everything over. Awesome tip, thanks so much for that! If you choose to develop your new site on a subdomain make sure to tell search engines not to index your in-progress site while you’re working on it. Once you transition your new site from the subdomain to your new domain allow search engines to index it. If you change URLs or consolidate pages to new URLs implement 301 redirects. I recommend the plugin Redirection for easy redirect management. Is it me or does this post’s text start in the middle of a sentence? I’m wondering what came before “there were two things that hadn’t really happened yet in the online art community.”? Not to criticize–your blogs are extremely helpful and full of wonderful information for artists! I especially appreciate the suggestion of Canvas as a theme because 2014 just isn’t cutting it for me. Thanks for being so generous with your information. Great information. I have used Woo Themes in the past and I am thinking about using the Canvas theme for my artwork. Since my artwork is digital I heard that something like e-junkie works well for an automatic fulfillment service. Please give your thoughts on sites that sell digital artwork with automatic fulfillment. I have signed up for your marketing training this month. I hope to have my site updated by then. The Canvas theme looks promising. I am using the old version of Thesis 1.85 which I like, but it has it limitations. Warren – ejunkie makes a lot of sense if you’re only selling the digital download. If you want to sell prints, then I’d recommend looking at Fine Art America or SaatchiArt. I’m a bit late reading this but all the info is still relevant. I have this last week built a website and shopping area with woo commerce and Divi from Elegant themes. All due to this review. Still have a few bits to iron out, but can now get on with making more art to populate the site. These are really great videos which tell the story of what is possible with a good theme. I’m trying to decide which theme to use and may choose Divi or Canvas so I can refer back to the videos while I set it up. Also Kris Mercer’s new website is astounding. Your Canvas theme video was excellent and I have bought and set up on my site. When loading my products into the ‘sale’ page, it accepts 12 products and puts any more products in a link at the bottom of the page. I’d like it to put them into the next ‘sale’ page – Q How to I get to choose which ‘sale’ page I want them on? Hi Julian, have you reached out to Woocommerce’s customer service team? I still like Canvas a lot. Our focus here has shifted some. Some platforms have made getting a website up and running a bit easier than WordPress. I’m partial to Shopify right now, but that requires a monthly plan. It’s all trade-offs. We have more theme reviews coming too. Thanks for your reply Cory. I am in a bit of a bind. A developer built my website very recently. I find out the WP Crush Theme he used doesn’t come with any built in computability for e-commerce plugins. I hope my new website developer can some how pull a rabbit out of a hat and be able to work with it. I enjoyed the videos and will ask developer to take a look at canvas. Hey Cory – do you know when your theme reviews will be coming out. I might wait to pick my storefront and website. I was going to start today but I think I will wait. Don’t wait on us! Take action now! Have found your site today and been spending time studying all the conversations here. It’s greatly informative – so, thank you! We currently have our website on a Clikpic platform (if that’s the right word to use! ), but have had no sales via this yet (we also have a small art shop in Ludlow, England, which is really picking up on sales in this our first year of our working art studio business, where my partner is the artist and I am the back office support). Our main aim is to get the website fabulous looking (which it currently isn’t) and to be able to create that passive income while on the road. I’m keen to learn, so will keep studying these comments and see if we get closer to producing some good. We currently have our Paypal account linked the website. Any advice on whether to stick with Clikpic or move on would be gratefully received. I’ve been feeling quite alone with it all, so it’s so great to find you and this chat theme. Thank you! Is it possible to have a background image inset on all pages? I have a photo I want to use as a base on all pages,(it is a dark photo). I want to inset my art images into my base page. It is to tie all the theme pages into one look. That link doesn’t work anymore.